Writers evolve. 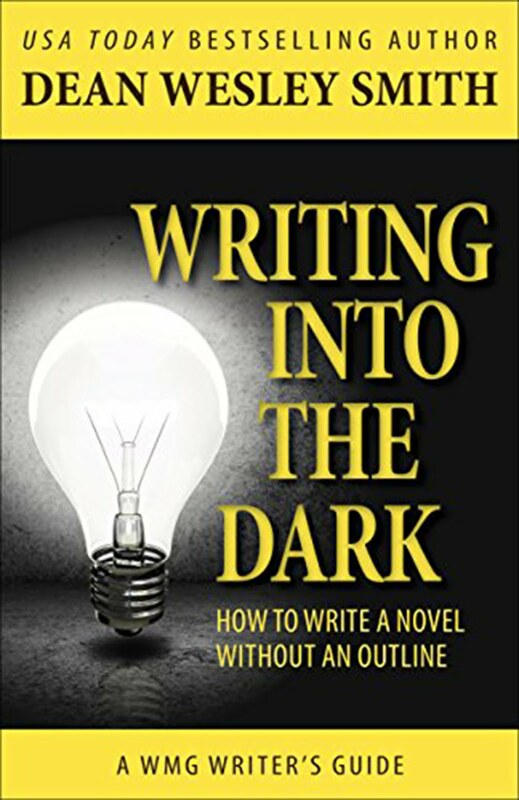 When I began writing novels, I made detailed outlines and after completing the books, I saw I always deviated from the outline to make the story work. No problem. I also wrote a detailed synopsis of each book to satisfy agent/editor/publisher. That was then. Now, I begin with a character with a problem. Add setting, time and a couple conflicts listed in sketchy notes so I don't forget. Sometimes the character walks off in another direction and the sketchy notes are ignored. I follow the character and write what he/she says and does. Writing in the dark. I'm not alone in this. Better writers have been doing this for a while. Me, only recently. When it is time to get back to Lucien Caye, to rejoin his world, go back to 1951, I put him in motion and tag along. I miss him and that world so it is great to be back. Same with my other series characters. 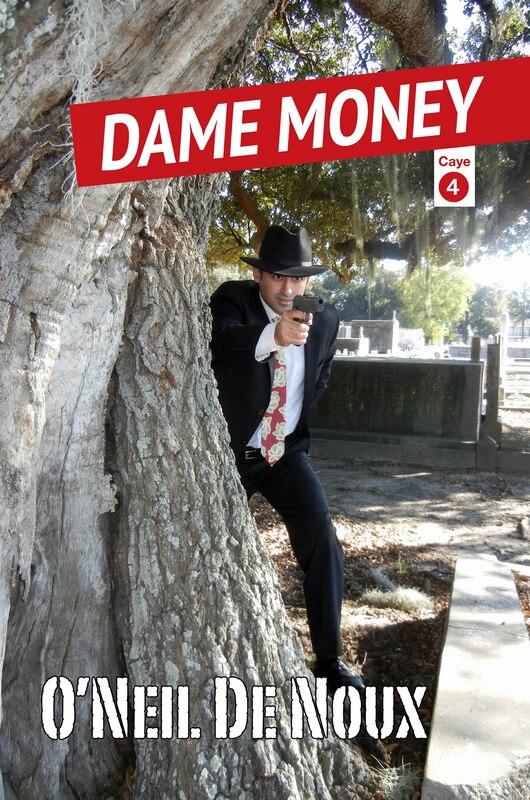 In DAME MONEY, Private Eye Lucien Caye is on the roof of le Richelieu Hotel in the French Quarter at 3 a.m., and there is a black cat and a cat burglar. But that did not turn out to be the story. There was murder and extortion waiting for him and the growing affection of this single father for the young woman he met in HOLD ME, BABE. Cases are important in private eye novels but so is the private life of the main character. My most recent book RIGHTEOUS SENTENCE (2019) begins with a father searching for his missing daughter. Once my main character meet the mother who took the daughter, the story goes off in another direction and I scrambled to keep up. I follow in the footsteps of James Sallis and Dean Wesley Smith and many other good writers. 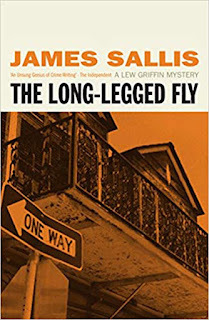 James Sallis – DRIVE (they made a movie with Ryan Gosling and Carey Mulligan out of this novel), the Lew Griffin New Orleans novels – THE LONG-LEGGED FLY, BLACK HORNET, MOTH, BLUE BOTTLE, EYE OF THE CRICKET, GHOST OF A FLEA – and many other novels, books of poetry, non-fiction books, and essays. 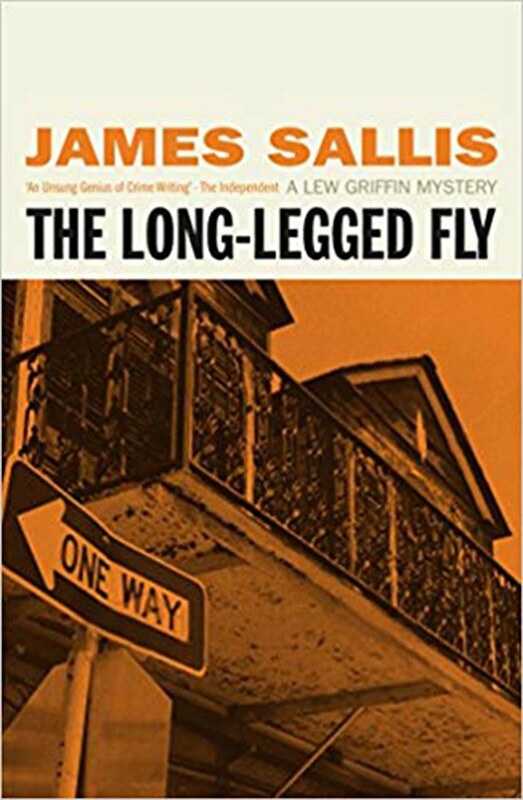 Sallis explains "After years of writing the well-made story," he became disaffected and bored and if he was bored, possible his readers would be bored. 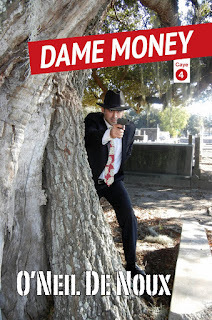 He sometimes goes back to Raymond Chandler's – when in doubt have a man come through the door with a gun in his hand. He decided to challenge himself and improvise. Sallis says, "I would start with a scene. I would start with a bit of conversation, with a plot point and would see where it took me. And I would try to surprise myself." He goes to to explain writers go every way with their writing, some have to have it all clocked out and some can't do that. There is a danger to all creative work. Sallis adds how writing this way can be like throwing yourself off a cliff. Dean Wesley Smith has over a hundred published novels and more than 17 million copies of his books in print. 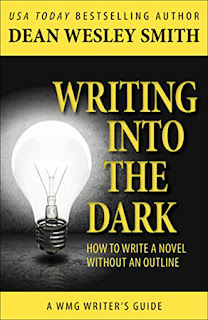 Dean wrote a book about this: WRITING INTO THE DARK: HOW TO WRITE A NOVEL WITHOUT AN OUTLINE. Dean says it will start with a scene or conversation and he sees where it takes him looking for a surprise. When addressing writing into the dark, he explains, "To be vital you have to change." He goes on to remind us, "You are the God of your book." I like to start with the story running and catch up with the characters. Endings can be a surprise and when it works, it is like the satisfaction a homicide detective gets when the killer looks you in the eye and confesses. Robert Frost once said, "No tears in the writer, no tears in the reader No surprise in the writer, no surprise in the reader." A lot of major writers--Dennis Lehane and Tess Gerritsen among them--don't outline, and we can see how well it works for them. Robert Crais DOES outline, and Sue Grafton used to create notebooks of ideas, character details, setting info, potential problems and research, and other material that led to notebooks longer than the eventual book. If you do this long enough, you're going to evolve and refine what works for you. I still outline novels because I like to use subplots that will eventually intersect. The outline makes it easier to keep track of what's going on with the different narratives. Short stories, though, I do pretty much like you're now doing novels. I tend to start with a "what if" and keep going. I'm still getting comfortable with driving at the end of the headlights, but it keeps me alert. I've only written two novels in my life, one very bad sci-fi, and one gun for hire. But with short stories, I generally start with either a scrap of dialog, or a scene, or a crime that I've heard of and go from there. Really enjoyed this O'Neil. I tend to write the same way, outlining less as I go along. Elmore Leonard said much of the same things about plotting at a signing for Up in Honey's Room I was fortunate to attend. He said his characters were like living entities and he was just following along. Met Elmore Leonard once. He had a signing for BANDITS in New Orleans, a year before my first novel was published. We did not talk about writing. We talked about New Orleans. He was born here but left when he was too young to remember living here. We had a nice talk. Thanks y'all for the comments. That's a damn good Robert Frost quote. I'm not sure, but I think Kipling said something similar.